It's February and we will be at the beach...dancing because we can...in San Diego! Am I right mi gente?!!? The perks of being in San Diego!! Please mark your calendars for Casino on Cardboard at Coronado Beach on Saturday, February 22nd. This is one of our favorite spots in San Diego. 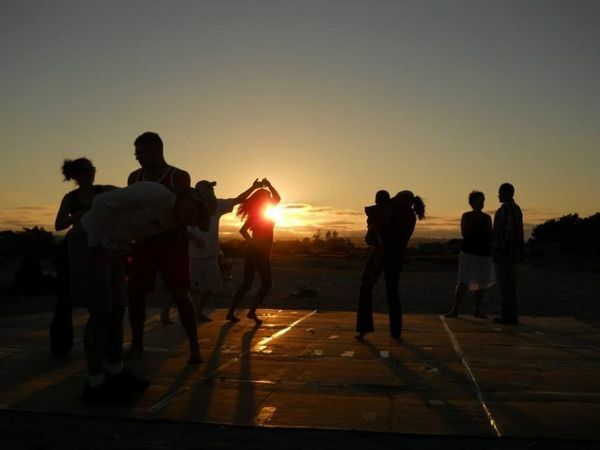 So come by and dance and share good times in one of the most beautiful beach sites in San Diego. I will need all hands on deck to help unload the cardboard and duct tape the floor so I will need help at 3pm to unload the cardboard. Please help me out as I am just one person. When: Saturday, Feb 22nd, 3:00pm for Set Up and 4:00-6:00pm for dancing. Come by and bring some snack or drinks, beach towels or beach chairs, a sweater or sweatshirt as it will get cold later as the sun goes down. I'll be leading some salsa suelta (line dancing salsa...the big craze in Cuba among the young people) and ruedas galore. Come learn some new rueda moves from this year's San Francisco Rueda Festival. Pura vida! If you get lost, call me on my cell at 206-300-4523. I will be using my cell phone for the music so after 4:00pm, I will put my cell phone on airplane mode so as not to cut off the music. Please plan accordingly and make you phone calls before. PLEASE NOTE! The address for the SUNDAY, JANUARY 26 CALIXTO OVIEDO w CUBAN ALL STARS CONCERT at the MUSIC HALL OF CAL STATE UNIVERSITY LOS ANGELES (CSULA) is.. 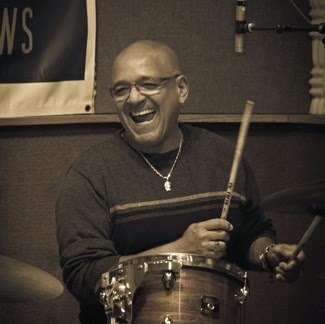 GROOVE w LIVE TIMBA w Cuba's NG's LA BANDA & AFRO CUBAN ALL STARS' MASTER MUSICIAN, & SUPPORT THE ONLY AFRO LATIN MUSIC GRADUATE PROGRAM in the U.S.! SUNDAY, JANUARY 26, 7:30 PM: CALIXTO OVIEDO performs in a FUNDRAISING CONCERT w the CSULA LATIN ENSEMBLE, directed by PAUL De CASTRO, after a week of conducting master percussion classes with the students of CSULA’s AFRO LATIN MUSIC PROGRAM! OVIEDO is an internationally esteemed master percussionist from Cuba (NG La BANDA: ÉCHALE LIMÓN, LA BRUJA, SANTA PALABRA, LA BRUJA, EL TRÁGICO). Guest musicians include JOSIEL PÉREZ (MARACA), YOSMEL MONTEJO (MARACA), RIGOBERTO LÓPEZ (ADALBERTO ÁLVAREZ)! Tix: $15/students & seniors, $20 general @ http://www.calstatela.edu/academic/musictheatredance. Proceeds support the CSULA AFRO LATIN MUSIC PROGRAM. The PLAYHOUSE of the Cal State University L.A. campus, 151 State University Drive, L.A. 90032. In L.A.: RUMBANKETE back at EL FLORIDITA ! 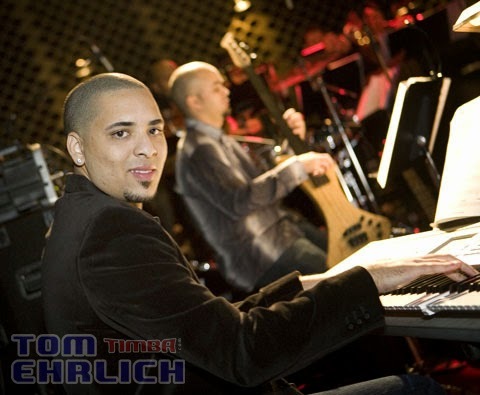 THURSDAY, JANUARY 23, 8 PM & 9:30 PM: Cuban pianist ISAAC DELGADO JR performs TIMBA-JAZZ-SON w JOSIEL PÉREZ, YOSMEL MONTEJO, RAÚL PINEDA @ MAMBO’s CAFE, 1701 Victory Blvd., Glendale 91201. No cover but $15 minimum purchase order. Reservations recommended 818 545.8613. By the way, you'll love their food! Directed by Patriceanne Mead. Shake it! Vibrant color, movement and earth shaking rhythm explode when Patriceann Mead and the Afro-Cuban and Brazilian drum and dance ensemble Agogo hit the floor with irresistible force. 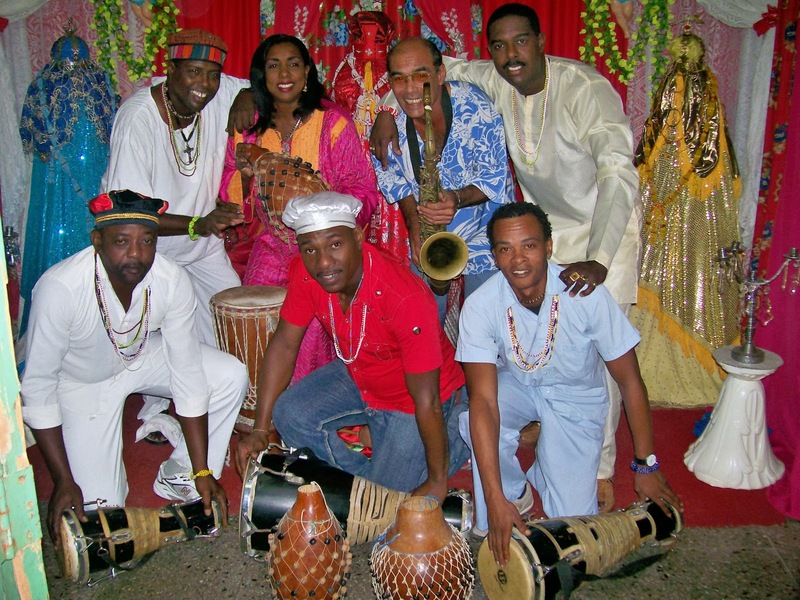 Also featured are the fabulous tropical rhythms of La Farandula. Join these inspired dancers and musicians for an unforgettable experience! Come and enjoy the music from Los Hermanos Arango at Dizzy's in San Diego. If you want to hear a little of their music, click this link from their MySpace website. WHEN: Thursday, February 6th at 8pm. Ay Na' Ma' !!! Come join our merry, fun loving bunch on Saturday January 25th in the beautiful Centennial Regional Park in Santa Ana for Rueda de Casino! 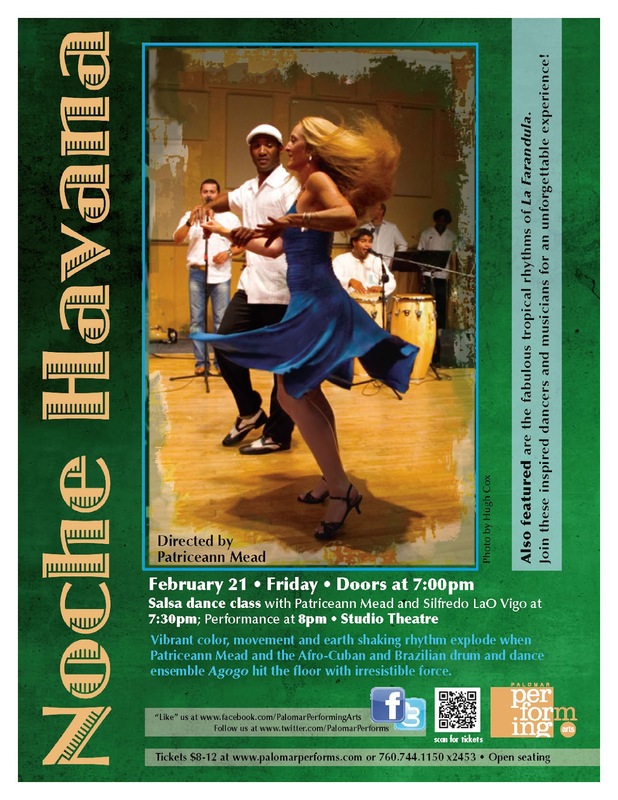 Enjoy the weather, the scenery and the music with fun people while you learn this social Cuban dance. Learn the fundamental basic elements, the many variations and the combinations that make up Rueda de Casino. You can find us when you enter the park at West Edinger Avenue and South Mohawk Drive. We are located at the end of the round-about, under the trees adjacent to the pond. Be sure to tell a friend or two and invite them to be part of the fun! We will see you there. Una Bulla! San Diego's biggest Cuban music & dance party is back for 2014! Don't miss this fun celebration of Cuban culture featuring special musical guests - Los Hermanos Arango - live and direct from Habana, Cuba! 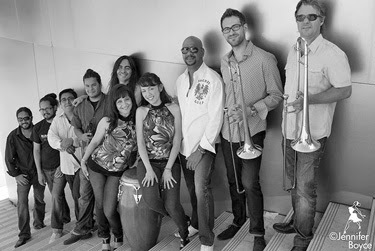 This Cuban fusion band led by Feliciano Arango, former bassist for NG La Banda, brings a harmonious blend of Afro-Cuban vocals & jazz that will blow you away! Get your groove on with a Free Salsa Suelta Dance lesson with Master Dancer Juan Carlos Blanco, former lead soloist for Raices Profundas - teaching us some Free-style Casino - Cuban Salsa moves. These will come in handy when all of those Cuban jams call you to the dance floor! Savor delicious Cuban cuisine by Las Criollitas & enter to win awesome Raffle prizes! 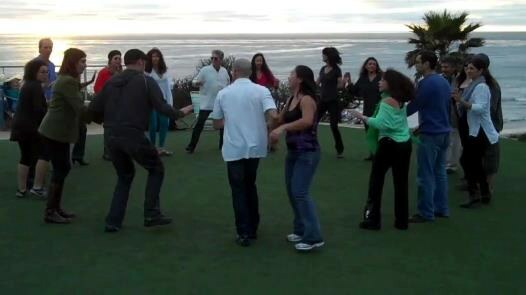 Can you believe it that it has been now two full years of San Diego's monthly rueda dance party at the beach??!! That's right mi gente! We are celebrating two years of Casino on Cardboard and AstroTurf. We have a special guest coming into San Diego. We might even have some surprise guests visiting from out of town to join us. Let's make this the biggest spread of food ever. Bring your favorite snack to share. I will bring plates, cups, eating utensils and napkins. I've got some salsa suelta choreography I have put together (inspired by Wilfredo Guilbiac Rodriguez and all my Cuban salsa suelta videos from You Tube). So come learn two sequences so we can dance this at other Random Acts of Cuban Movement events. If you have never danced, this is a chance to learn some basic footwork, but it will go a bit fast. Just be aware. Come dance with us to our favorite music and join in on some ruedas, salsa suelta and just plain one-on-one casino dancing. The sun will set a little around 5:10pm which will be plenty of sunshine and a cool Pacific breeze to enjoy. 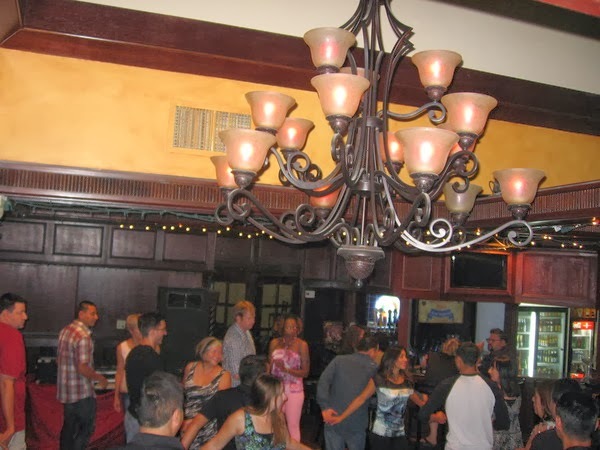 We had so many people at our last Solana Beach dance party, let's do that again!! I know you are itching to dance to some timba!!! What to bring: a snack to share, layered clothes and something to drink. This is a FREE family-friendly event. All are welcome. Cost: Donation of $5.00 or more to go towards a snap-together dance floor to be used at other casino on cardboard monthly dance parties and more. The more you pay, the quicker we will be able to buy our community dance floor for outside salsa events. DON'T THINK! JUST GET IN THE CAR AND DO IT! The Random Acts of Cuban Movement Campaign continues!!! Get in your car and come up to Temecula for some dancing at Lienzo Charro for a birthday celebration for Donna San Miguel, Maritza's good friend from CSU San Marcos. Let's celebrate Cuban style on the dance floor and do a bunch of ruedas. It may not be timba, but if the salsa is decent, we can dance. I will definitely ask to have the Cuban birthday song by Irakere for Donna, in her honor. That means all leads will get in a circle and dance with Donna for her birthday. Lienzo Charro is a regular salsa hot spot rated #1 in the Murietta and Temecula area. Let's get this party started!!! Una Bulla Largaaaaaaaaa! 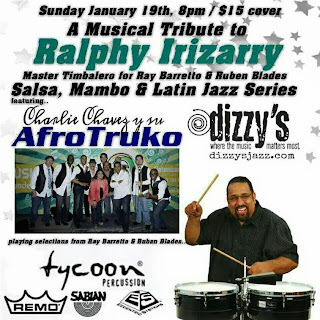 Latin Jazz concert with Afrotruko playing selections from Ruben Blades and Ray Baretto with a special tribute to a master timbalero: Ralph Irizarry. Let's do a couple of ruedas and dance Cuban style (casino) and show our support to a great set of musicians. Combo Libertad, North County San Diego's very own "son" band is playing at Club M inside the Hotel Grand Del Mar. In an effort to keep the Random Acts of Cuban Movement going....DON'T THINK! JUST GO!!! It's only from 7pm to 10pm, so get there on time so you can enjoy the music longer. I'll be calling some ruedas. Looking for something fun to do in 2014? Don't miss this annual class series, going on Now thru Feb. 23rd! This year we bring you Las Congas de Cuba, or The Congas of Cuba! This series celebrates the diversity of Cuban comparsas - that wonderful combination of percussionists and dancers that bring Carnaval to life and the varied styles of each. 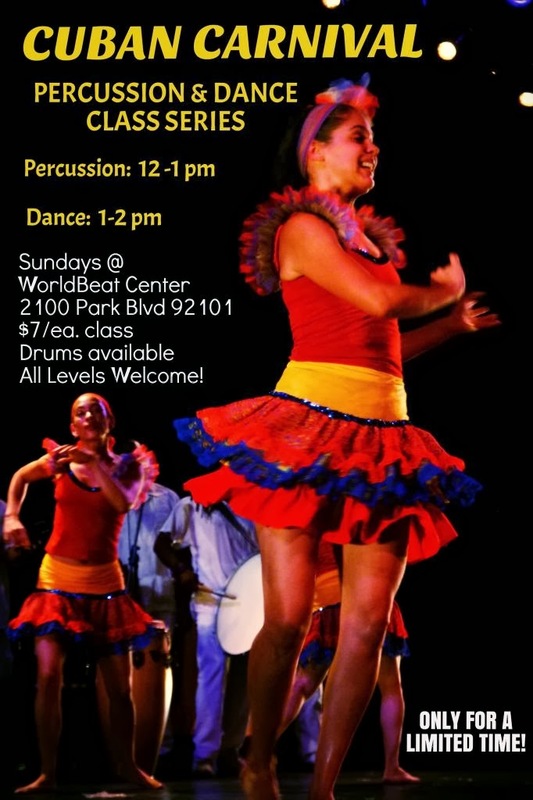 Students will be taught various Cuban Carnival rhythms & dances by Master Artist Juan Carlos Blanco. Classes can be taken individually or dually. All levels are welcome! *Students of this series have the opportunity to participate in 22nd Annual SD Mardi Gras Brazil Carnival 2014! RANDOM ACTS OF CUBAN MOVEMENT! Tonight at Q Restaurant in O-side! Sun. Jan 5th! RANDOM ACTS OF CUBAN MOVEMENT FLASH MOB TONIGHT (Sunday, Jan. 5th) @ Q Restaurant in Oceanside, CA (address 2725 Vista Way, Oceanside, Ca. 92054) at 9:30pm. Apparently, it's free tonight. A group of us (Carlsbad Casineros) are going to invade the dance floor and do some ruedas and practice our flash mob salsa suelta moves to whatever salsa music they got, hopefully they play something good. Come join us! We will combine rueda and salsa suelta with local hiking trips, wine tasting to Temecula, and rueda in the parking lot when we commute to Curuye or Rueda in the Park trips. REMEMBER....don't THINK...just do it!! !....like the NIKE slogan. Happy New Year Everyone!!! 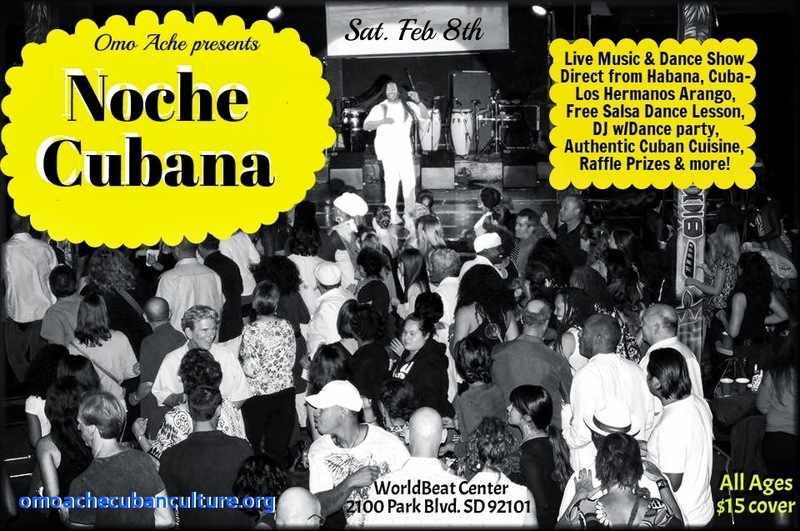 Please SAVE THE DATE for Noche Cubana in San Diego on Saturday, February 8th. Let's make sure we get out there to support this event and also get our dance on! Una Bulla!